EDINBURG — Health care was the focus Saturday for state legislators visiting the Rio Grande Valley this weekend. The legislative tour, organized by RGV Partnership, made a stop at the Edinburg Children’s Hospital, one of the facilities of South Texas Health Systems. One expected takeaway was that STHS was dedicating resources to the care of children which includes a pediatric diabetes and endocrine clinic, said STHS Regional Vice President Charles Stark. In a presentation to the legislators, Stark touted that STHS had the only Level 2 trauma center in Hidalgo County and are pursuing Level 1 trauma designation. Level 1 medical facilities provide the highest level of trauma care, complete with surgeons, anesthesiologists, specialists and equipment available 24 hours a day. “We would like for them to understand that as well because we think trauma funding will be a topic in this legislative session and we would like them to understand that there are great resources here,” Stark said. Also on hand was Edinburg Mayor Richard Molina who highlighted the benefits that STHS has brought to the city. “(In) Edinburg alone, South Texas Health Systems has contributed greatly to our economy with more than 1,000 employees and an additional 700 physicians right here on staff,” Molina said. The mayor also touched on the University of Texas Rio Grande Valley School of Medicine, located in Edinburg, and their needs for funding. “I’m asking you to help us in-hand here in Edinburg in funding the medical school, Level 1 trauma center, as well as clinical research,” Molina said. After the presentation the legislators were given a tour of the different areas of the children’s hospital. 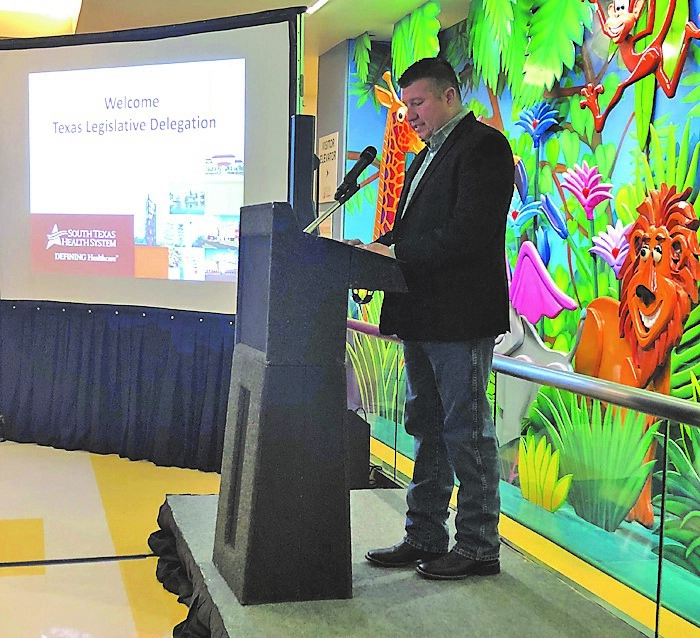 State Rep. Stan Lambert, R-Abilene, said the RGV tour, as a whole, was eye-opening to the different types of health care and education that are being offered in the Valley. But along with gaining new insight, Lambert said the visit also showed that healthcare needs are similar across the state.